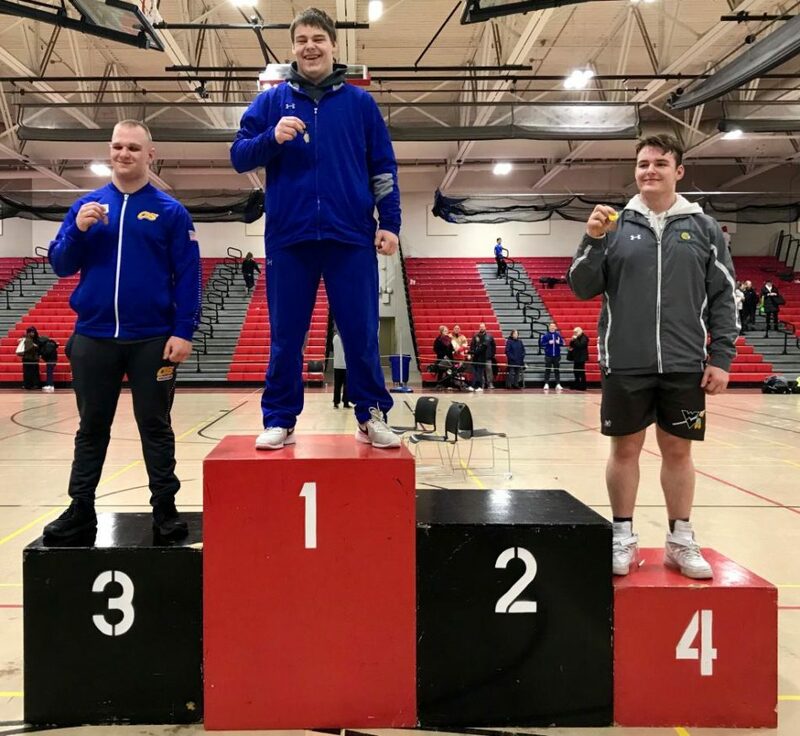 BOLINGBROOK – Two Waubonsie Valley wrestlers qualified for IHSA State, and a third ended a stellar freshman year at the IHSA Sectionals in Bolingbrook on Friday and Saturday. Senior Garrett St. Clair punched his ticket to Champaign after winning three straight in the 200-pound weight class. St. Clair pinned Montini’s Colin Baker in 1:56, then shutout St. Rita’s George Western, 7-0, before defeating Marmion’s Jack Bazukas, 5-0, in the championship match. St. Clair upped his record 35-2. Junior Charlie Millington qualified for state competition with a fourth place finish in the 285-pound weight class. Millington lost his first match of the weekend, then came back with three straight wins, before falling to Sandburg’s Nate Goodman. Millington is now 28-13 on the year. Freshman Antonio Torres won his first match of the weekend, but lost to Oak Lawn’s Anthony Bitner, 10-3. Torres returned in the wrestleback bracket with a 12-8 win, then ended the tournament with a close 4-3 decision to Naperville North’s Kyle Plank. Torres finished the season with a 34-8. IHSA Finals are February 14 through 16 at the State Farm Center in Champaign. For more information, visit ihsa.org.